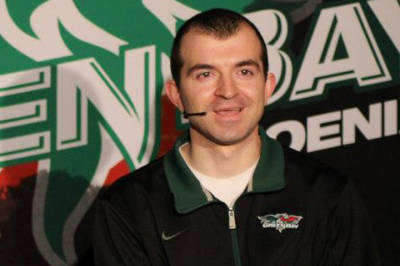 Green Bay Phoenix radio play-by-play man Matt Menzl can’t wait for tonight’s championship game against Wright State. Menzl is figuring by that time, things might be back to semi-normal. Menzl was on the headsets for last nights 99-92 thriller that saw the four-seeded Green Bay Phoenix prevail in overtime over the one-seeded Valparaiso Crusaders. After a questionable call by referee Pat Adams in the second half last night, Adams kicked Menzl out of the game. Menzl said it was a misunderstanding gone wrong.